5* WELS. 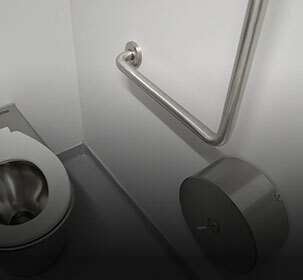 Vandal resistant stainless steel urinal with rear water inlet and optional sensor flush. 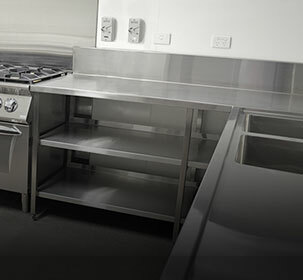 Ideal for public amenities and commercial bathrooms. 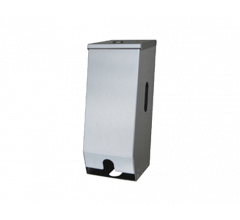 The BRITEX Regal Urinal is perfectly suited to areas requiring optimal resistance to vandalism such as public toilets, night clubs, pubs and sports pavilions. 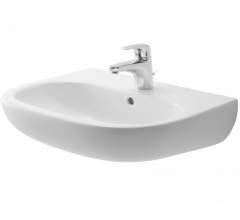 Supplied with a concealed rear inlet and incorporating a stylish appearance the Regal is also a fine addition to a bathroom that requires high quality, modern looking sanitary fixtures. 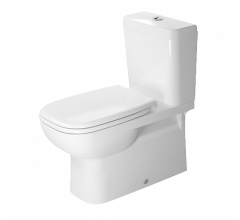 The Regal is also available as an Auto Flush model that includes a microwave sensor activated flushing device that is fully concealed inside the wall cavity above the urinal (Smart SaniFlush Sensor System). 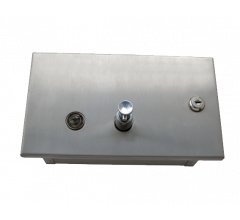 An alternative anti-vandal, user-activated flushing mechanism that can also be installed in conjunction with the Regal urinal (and doesn't require a cistern tank) is the Pneumatic Flush Valve. WaterMark and WELS certified as required by plumbing regulations and government legislation.